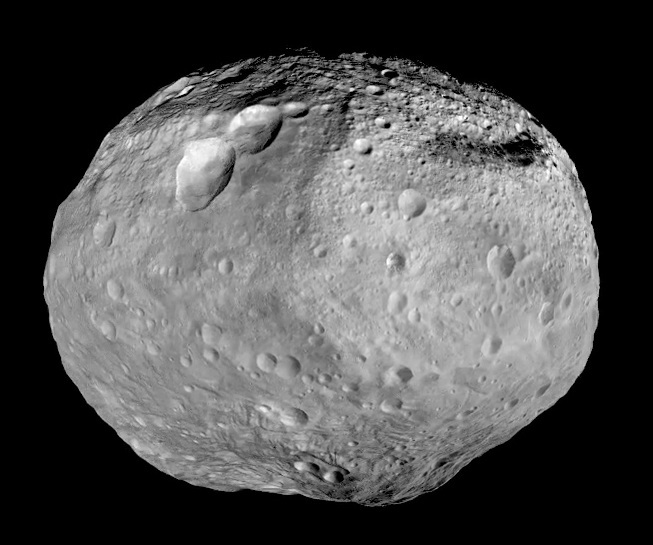 A mosaic from the Dawn mission of the asteroid Vesta. From http://en.wikipedia.org/wiki/4_Vesta#mediaviewer/File:Vesta_full_mosaic.jpg. Fascinating talk today from Roger Fu, a graduate student in MIT’s Earth, Atmospheric, and Planetary Sciences Dept, about magnetic fields in the solar system’s infancy. 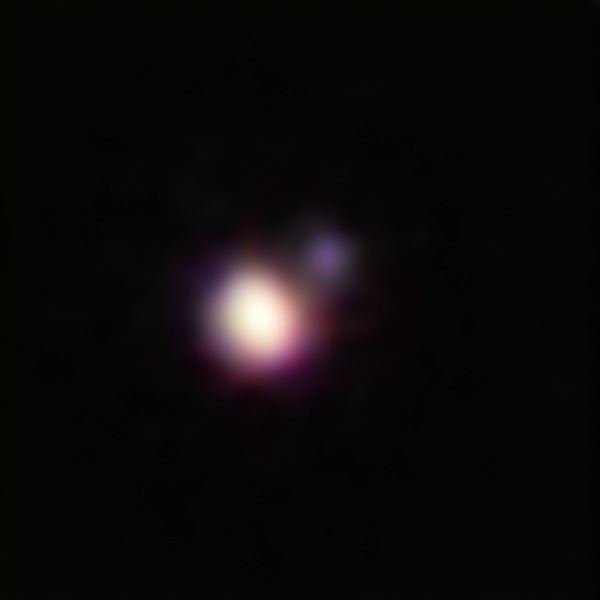 Magnetic fields in the early solar system may have arisen from many sources, including the young Sun, the protoplanetary gas disk, and large planetary bodies like the asteroid Vesta (at left). The signatures of these magnetic fields were imprinted on meteorites present at this time, exactly the way molten rocks on the Earth can record the Earth’s magnetic field. 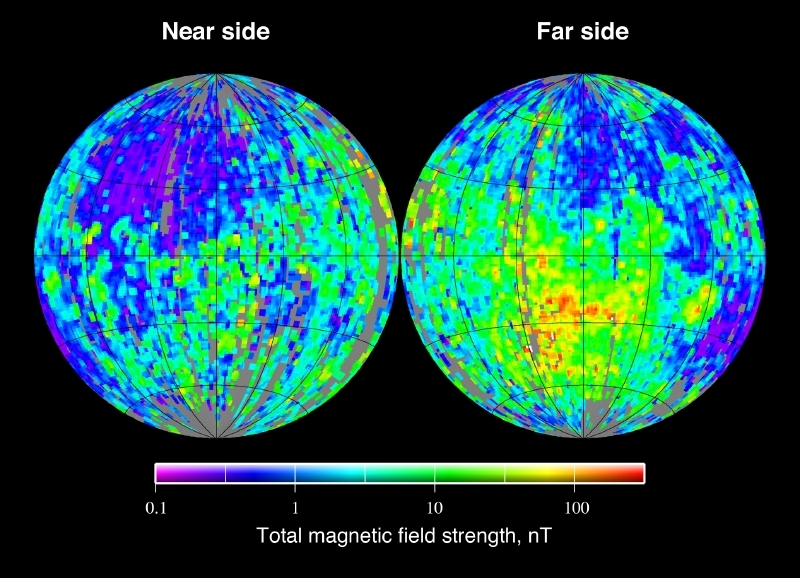 These ancient magnetic fields are called paleomagnetic fields. By studying the paleomagnetic signatures imprinted on meteoritic materials, Fu and his colleagues are able to measure the strengths and even directions of magnetic fields in the early solar system. 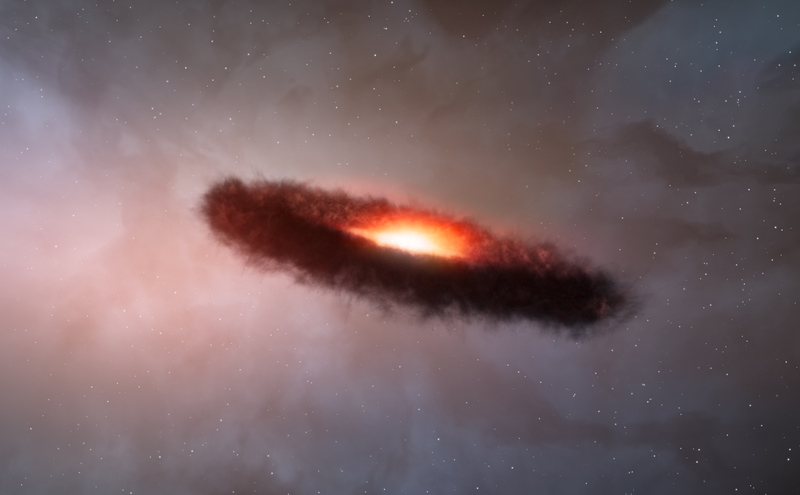 Understanding this early magnetism can teach us about the formation of planets, the evolution of the protoplanetary disk from which they formed, and even about how planetary magnetic fields themselves are generated. Great talk from Ronni Grapenthin of UC Berkeley’s Seismology Lab. Dr. Grapenthin discussed how he uses high-precision and high data-rate GPS measurements to link the motions of the Earth’s crust to geophysical processes, including earthquakes and volcanic eruptions. One of the neatest things he showed was a video of GPS displacements during the huge Tōhoku earthquake in Japan three years ago (above). The left panel shows lateral displacement (the largest arrows reflect only a few meters of displacement, not hundreds of kilometers, as it may seem), while the right panel shows vertical displacement. The waves associated with the earthquake and an aftershock are shown pretty dramatically, as they propagate through the Earth’s surface away from the earthquake source. In the near-term, Grapenthin is helping to develop an early warning system for earthquakes in California using these kind of GPS data, which could help save many lives. 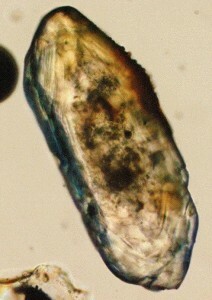 A light-optical microscope image of a zircon, 250 micrometers long. Very interesting seminar today from Prof. Blair Schoene of Princeton University’s Dept. of Geosciences. Prof. Schoene discussed his work on geochronology, estimating the ages of rocks. The Earth is very old, and figuring out the ages of rocks can be tricky. Luckily, the Earth provides some help, notably in the form of small crystals called zircons (one shown at left). Zircons are hardy little crystals that contain trace amounts of uranium (U) and lead (Pb). When zircons crystallize, they can incorporate some U into the crystal, but Pb is chemically excluded. However, U radioactively decays into Pb at a well-known rate, and so if you find Pb in an old zircon, you know that it used to be U and formed by decay. By counting up the amount of Pb, you can estimate the zircon’s age. Prof. Schoene and his research group use this fact to estimate the ages of rocks on the Earth’s surface. This work can tell us, for example, whether the chemistry of lavas erupted onto the surface have changed over time. 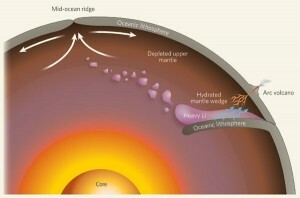 In fact, work by Schoene’s group has found preliminary indications that there may have been a big shift in the chemistry of lava flows right about the time that oxygen appeared in abundance in the Earth’s atmosphere, 2.5 billion years ago during the Great Oxygenation Event (GOE). The GOE is suspected to have devastated Earth’s biosphere — oxygen was toxic to most life at that time — and now it seems that eruptions from the Earth’s interior were affected, too. Dr. Richard Gaschnig of UMD Geology gave an interesting talk today about inferring the composition of the Earth’s ancient crust from glacial sediment deposits. 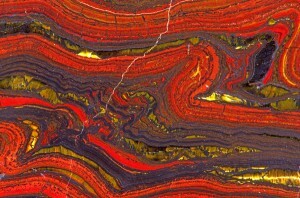 Banded iron formation with tiger-eye, Mount Brockman, Australia. From http://www.pbase.com/image/94666060. Gaschnig described detailed analyses of transition metals (TMs) to understand how the composition of minerals at the Earth’s surface might have changed over billions of years. These elements can be especially sensitive to their chemical environment, and so the TM content of ancient rocks tells us what things were like chemically as the rocks were formed. 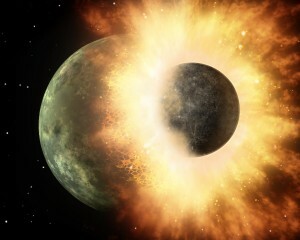 A particularly interesting result emerged from Gaschnig’s work: the TM signatures he’s measured for some ancient rocks show evidence for initially low levels of oxygen immediately following the beginning of the Great Oxygenation Event (GOE), the phase in Earth’s history when ancient cyanobacteria became so prominent that they produced vast quantities of oxygen. 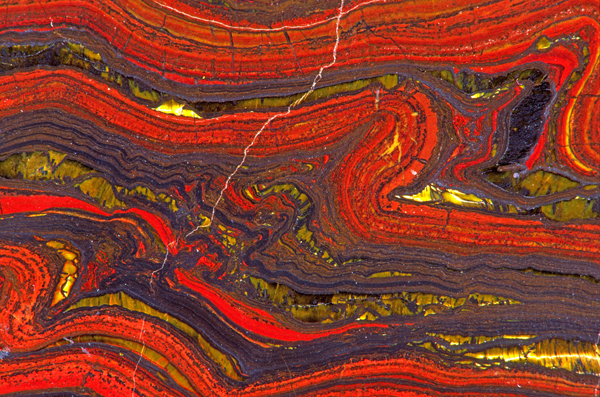 All this oxygen dramatically affected the chemical environment on the Earth, and its relatively sudden appearance in the atmosphere is reflected the mineralogy of some rocks, such as the banded iron formations shown at the right. Of course, without oxygen, most life as we know it would be impossible, but when it first appeared, the oxygen probably devastated the biosphere. Some of Gaschnig’s rock samples dated to before and after the GOE show chemical changes in the TM content that may be consistent with the presence of oxygen but only at low levels (at least immediately after the GOE began) and so can be used to fill in some of the missing details about this dramatic chapter in Earth’s history.